On January 14, 2019, Laura Kelly was sworn in as the 48th governor of the State of Kansas. She has made it her life’s mission to fight for Kansas children and families on the job, in her community, as a four-term state senator, and as governor. 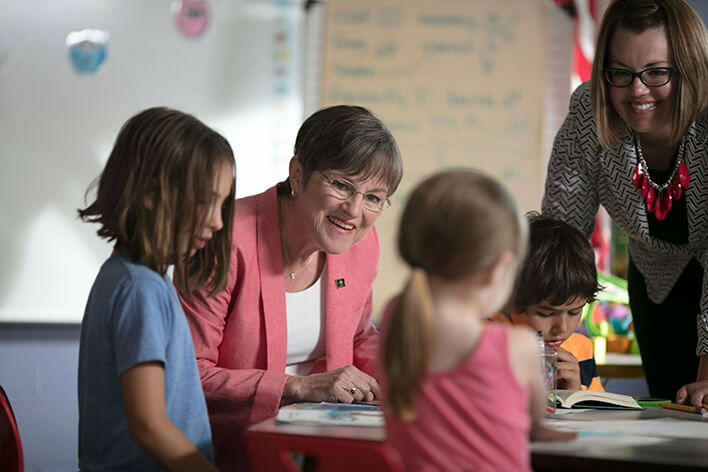 Laura Kelly has prioritized fully funding public schools, expanding affordable healthcare, reforming the child welfare system and growing the Kansas economy – especially in rural communities – as governor. Laura Kelly is ready to bring people together and lead Kansas in the next chapter.